AUSTIN: The Texas Capital Area Chapter would like to welcome Huston-Tillotson University in Austin, Texas as one of our new corporate members. 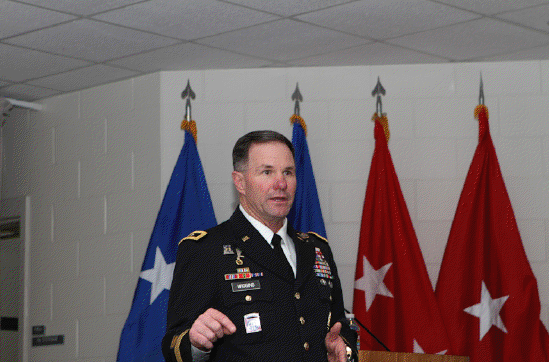 AUSTIN: Major General Perry Wiggins – Commanding General, 1st Division West was on hand to speak to AUSA Texas Capital Area Chapter members on 5 December 2012 at Camp Mabry in Austin, Texas. AUSTIN: The AUSA Texas Capital Area Chapter celebrated the 376th National Guard Birthday before a crowd of 250 people at Camp Mabry on 5 December 2012. Stan Lenox – TCAC Chapter President read a proclamation from Texas Governor Rick Perry which was followed by a ceremonial cutting of the cake by Major General John Nichols – Texas Adjutant General. 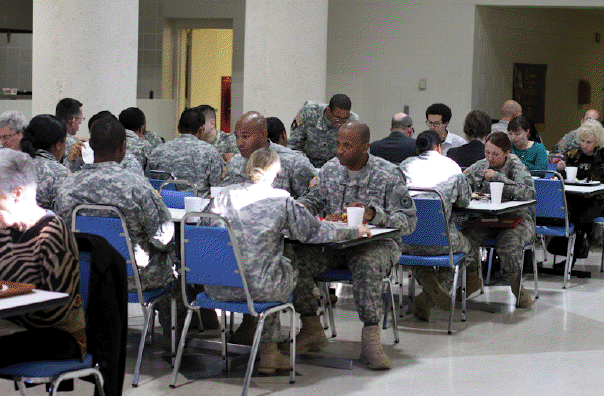 AUSTIN: The Texas Capital Area Chapter hosted its annual holiday BBQ luncheon for the Soldiers, NCO’s, Officers, and civilian staff at Camp Mabry on 5 December 2012. Guests were treated to free BBQ with all of the fixings. HOUSTON: On Wednesday 14 November 2012 the Texas Capital Area Chapter and Houston Sub-Chapter presented a check in the amount of $1,200 to the Army Historical Foundation for purposes of building the National Museum of the United States Army. 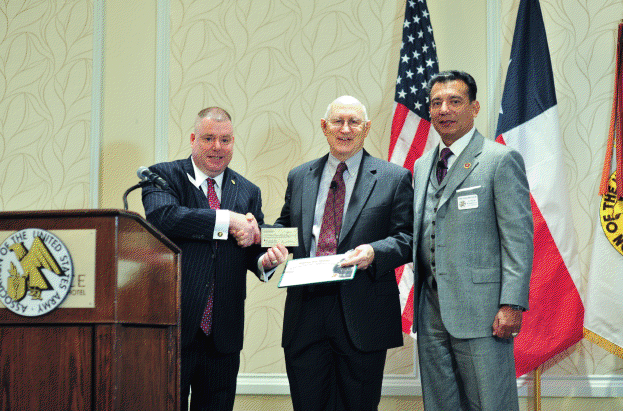 BG Creighton Abrams, USA-Ret accepted the check on behalf of the foundation. 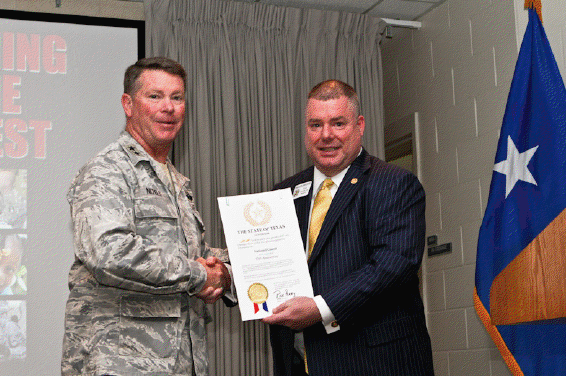 AUSTIN: Colonel Stanley Crow, ARNG-Ret – Director of National Guard Affairs at AUSA National was on hand to speak to Texas Capital Area Chapter members on 7 November 2012 in Austin, Texas. 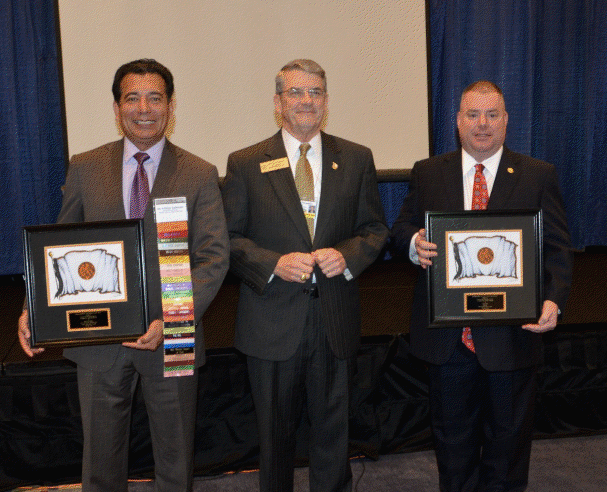 WASHINGTON, DC: Stan Lenox – Texas Capital Area Chapter President and Alfredo Rodriguez – Texas Capital Area Chapter Vice President of Marketing were each awarded a Citation for Exceptional Service in support of national defense during the Chapter President & Delegates workshop on Tuesday 23 October during the AUSA Annual Meeting in Washington, DC. 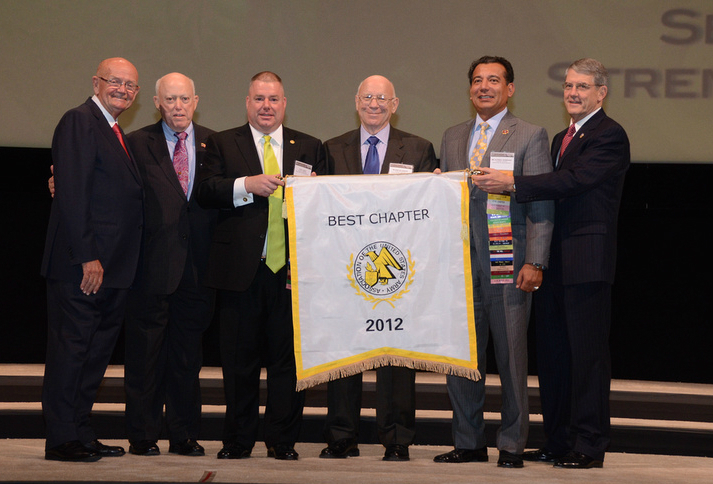 WASHINGTON, DC: On Monday 22 October 2012 the Texas Capital Area Chapter was officially awarded “Best Chapter” at the opening ceremonies of the 2012 AUSA Annual Meeting at the Walter E. Washington Convention Center in Washington, DC. 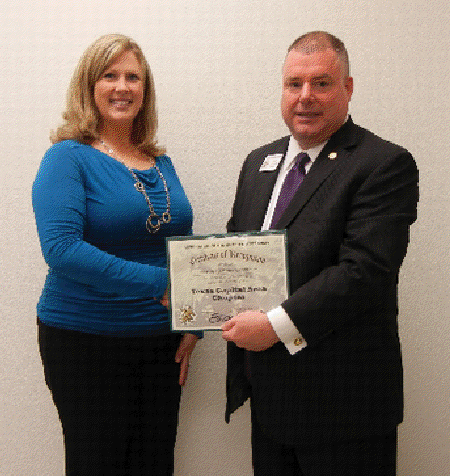 The chapter was also awarded numerous awards at the 4th Region Breakfast which took place two days later. 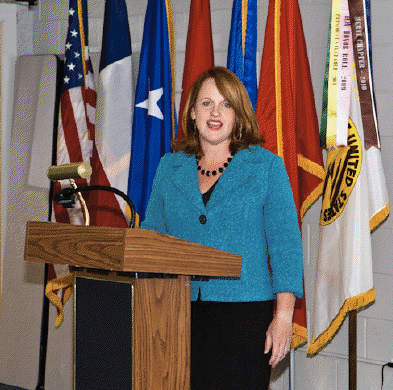 AUSTIN: Ms. Sheri Givens – The State of Texas Office of Public Utility Counsel was on hand to discuss how Soldiers and their families can competitively shop the electric market in Texas. 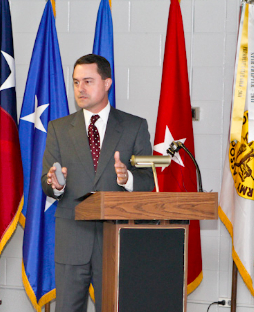 AUSTIN: On 5 September 2012, Texas Commissioner of Agriculture Todd Staples was on hand to talk about border security with members of the Texas Capital Area Chapter at the monthly general membership meeting.